VisionQuest can make your presence on the internet more powerful by optimizing your website content and using current search optimization techniques. Let's discuss organic methods such as search engine optimization (SEO), or paid advertising like Google AdWords, to raise the online profile of your business. And many other strategies are available to help your business get noticed online with our service. Contact us today - we want to be your local Atlanta SEO company and provider. For highly targeted search queries relevant for your business, organic search engine optimization (SEO) is the term used to describe the practice of getting your website to show naturally on the organic search engine results pages (SERPs). 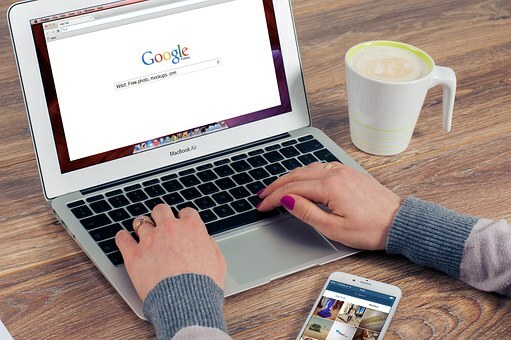 The techniques used for SEO include identifying relevant keywords, writing content for both human readers and search engines, and website link building campaigns to improve your website authority. For businesses with a customer base within a defined area, our local Atlanta seo service targets your local area. That means your customer base is generally within a few miles of your business location, and that your online presence is designed to drive foot traffic to your physical location or service area. This is done through several methods including using geo-centric keywords, producing locally relevant content, building citations on local niches and directories, and connecting with websites in the same area. Local SEO Packages are designed and implemented based on the number of targeted keywords and the creation of local directory listings and citations. For location-neutral businesses, Organic search engine optimization is the preferred strategy. This is ideal for websites that generate revenue exclusively online or want to reach a wider audience. If you're running a national campaign, or an e-commerce campaign, this is the methodology for you. Techniques include a combination of on-page and off-page optimization (through a mix of blog outreach, magazine submissions, backlink diversification, and other rank building activities). Organic SEO Packages are designed and implemented based on the number of targeted keywords coupled with the creation of content marketing and link-building campaigns. For aggressive campaigns, Competitive SEO implements extensive on-page optimization and diverse off-page link building activities. Extensive on-page activities (up to 20 pages) include web content writing, tag and header optimizations, URL rewrites, and meta data optimization among others. Off-page activities include a highly diverse month-on-month off-page submissions and outreach including video creation, PDF submissions, etc. For highly competitive industries and markets, request our Competitive Service for a customized campaign. Not Sure You Need SEO? Click Here to Request a Website Audit.